Wonderful Stylish Handpainted Art Nouveau Trio by George Jones & Sons 'Crescent' c1891-1920. 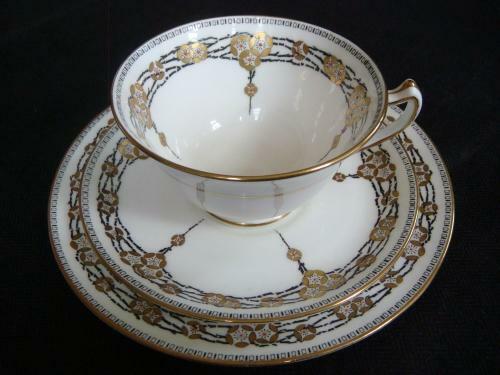 Features lovely white/gold gilt & black design. In Excellent condition with no chips or cracks. Cup measures 10cms in diameter & 6cms High, Saucer 14.5cms diameter & Plate 17.5cms diameter.